Please visit our Open House at 1405 828 AGNES ST in New Westminster. Rarely available, 14th floor, 2 bdrm, 2 bath, Corner unit with beautiful Views of the Fraser River and Mt. Baker. Offering an open and efficient floorplan, letting in lots on natural light & cross breeze. This layout is suitable for all types of buyers with Bedrooms large enough to house king size beds, each with their own ensuite, situated on opposite ends from each other for added privacy. Comes with TWO parking stalls. 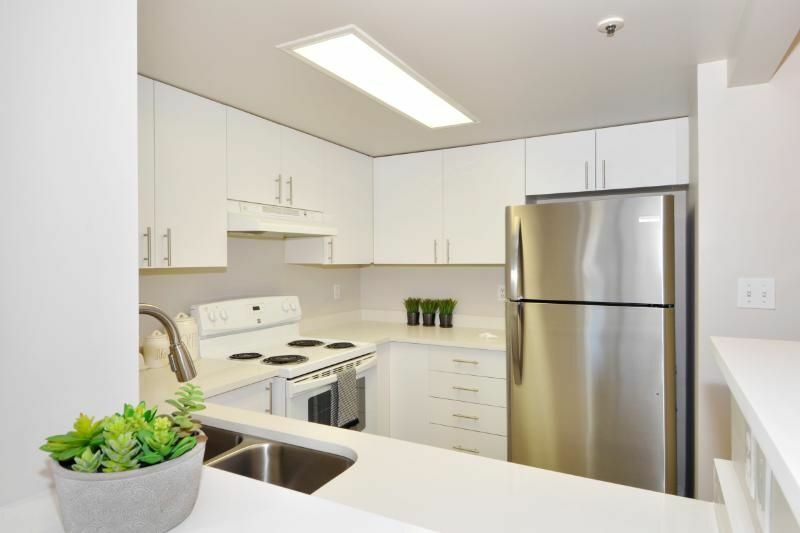 Prime Downtown location, walk to all amenities and only a 5 min walk to New West Skytrain Station, keeping you connected to all of the lower mainland w Quick access to Vancouver, Surrey, Burnaby, and Coquitlam. New piping 2016 and Boilers 2012. Pets and rentals allowed. OPEN HOUSE: Sunday, March 17th 2-4pm.  I have listed a new property at 1405 828 AGNES ST in New Westminster. Rarely available, 14th floor, 2 bdrm, 2 bath, Corner unit with beautiful Views of the Fraser River and Mt. Baker. Offering an open and efficient floorplan, letting in lots on natural light & cross breeze. This layout is suitable for all types of buyers with Bedrooms large enough to house king size beds, each with their own ensuite, situated on opposite ends from each other for added privacy. Comes with TWO parking stalls. Prime Downtown location, walk to all amenities and only a 5 min walk to New West Skytrain Station, keeping you connected to all of the lower mainland w Quick access to Vancouver, Surrey, Burnaby, and now Coquitlam. New piping 2016 and Boilers 2012. Pets and rentals allowe. OPEN HOUSE: Sunday, March 17th 2-4pm. I have listed a new property at 214 22562 121 AVE in Maple Ridge. If you're looking for something New, with a 2-5-10 Warranty in place, but without having to pay GST? You've just found it here! Edge on Edge @, located right in Maple Ridge's Downtown core. This Stylish and Bright one bedroom unit is ready to move right into. Designed with all the latest trends & top quality materials: contemporary kitchen cabinetry, beautiful Quartz Counter tops & SS appliances. The end unit features an extremely functional floor plan, with no wasted space and Bonus shares only 1 wall. With a walkscore of 87 you can walk to transit, shopping, schools, restaurants, cafe's, recreation, library and more. Comes with 1 parking. Rental and Pets allowed. A Solid investment. OPEN HOUSE: Saturday, March 16th from 2-4pm. Please visit our Open House at 214 22562 121 AVE in Maple Ridge. 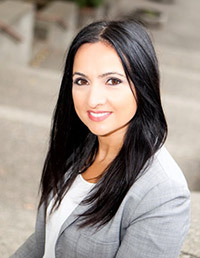 I have sold a property at 25 2825 159 ST in Surrey. Prime location in Quiet S Surrey neighbourhood. Across the street from Sunnyside Elementary and just 3 short block to Southridge. Exciting, nearly new townhouse in the Southridge Club-Greenway. featuring 3 bdrms, 4 bthrms AND a stunning Roof Top Deck retreat WITH Hot tub! Enjoy an upgraded unit with wide plank floors throughout, stunning Kitchen with quartz back splash, on demand hot water, extra built in cabinets in the living room, extra built in storage in the garage and so much more. Well decorated, quiet and featuring nearly floor to ceiling windows. Membership in the Southridge Club includes pool, fitness room, Basket ball court, Theatre room, & More. Come see for yourself! Please visit our Open House at 307 550 SEABORNE PL in Port Coquitlam. Beautiful, Like New, 2 bedroom & 2 bath home. Quality shows throughout, Built by Mosaic, nothing was Spared, from Radiant Fir Heat, SS Appls, Qrtz Ctrs, Flr to ceiling windows to the highly efficient, Open plan layout with bedrooms on either side of the home, creating great privacy for roommates and families alike. Watch the sunrise and Views all the way to the Pitt River from your fully covered balcony. Enjoy the exceptional amenities the Fremont Green offers: Beautiful Outdoor pool, Gym, Party room/Bar, Indoor Basketball Court, Children's Playroom, Dog Wash Station & Bike share program to enjoy the 25 Kms of Riverfront Trails. 1 parking and 1 Storage Locker. Pet Friendly building. OPEN HOUSE: Saturday, March 9th from 2-4pm. CORNER unit, Updated TWO bedroom, TWO Bath with wall to wall windows, designed with a sought after layout w/bdrms on opposite ends & each with their own ensuite! Updates Include: Stone counters, New appliances, New kitchen cabinet doors, Fresh paint, Laminate flooring, Window & Door screens. All this in the very Desirable, Trendy and Highly WALKABLE, Downtown New West, just steps away from any Convenience you require and Skytrain Station right across the street! Well managed building with Updates that include: re-plumbed/re-piped 2016, new boiler system 2012 and more. RENTALS allowed and PETS allowed with no size restrictions. OPEN HOUSE: Sunday, March 10th from 2 - 4 pm. 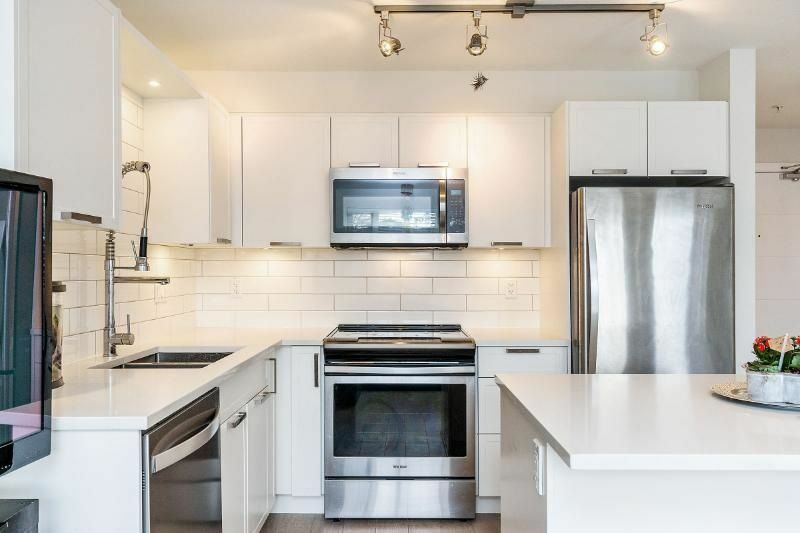 CORNER unit, Updated TWO bedroom, TWO Bath with wall to wall windows, designed with a sought after layout w/bdrms on opposite ends & each with their own ensuite! Updates Include: Stone counters, New appliances, New kitchen cabinet doors, Fresh paint, Laminate flooring, Window & Door screens. All this in the very Desirable, Trendy and Highly WALKABLE, Downtown New West, just steps away from any Convenience you require and Skytrain Station right across the street! Well managed building with Updates that include: re-plumbed/re-piped 2016, new boiler system 2012 and more. RENTALS allowed and PETS allowed with no size restrictions. OPEN HOUSE: Sarturday, March 9th from 2 - 4 pm. Beautiful, Like New, 2 bedroom & 2 bath home. 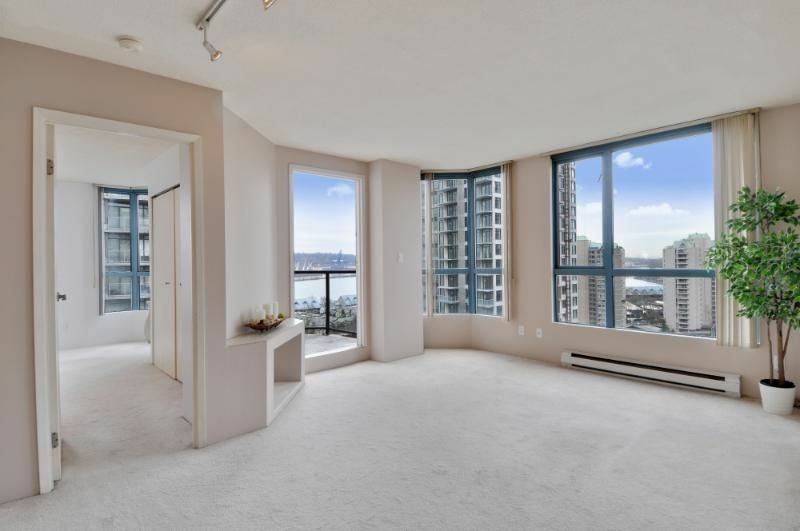 Quality shows throughout, Built by Mosaic, nothing was Spared, from Radiant Fir Heat, SS Appls, Qrtz Ctrs, Flr to ceiling windows to the highly efficient, Open plan layout with bedrooms on either side of the home, creating great privacy for roommates and families alike. Watch the sunrise and Views all the way to the Pitt River from your fully covered balcony. Enjoy the exceptional amenities the Fremont Green offers: Beautiful Outdoor pool, Gym, Party room/Bar, Indoor Basketball Court, Children's Playroom, Dog Wash Station & Bike share program to enjoy the 25 Kms of Riverfront Trails. 1 parking and 1 Storage Locker. Pet Friendly building. OPEN HOUSE: Sunday, February 24th from 2-4pm. CORNER unit, Updated TWO bedroom, TWO Bath with wall to wall windows, designed with a sought after layout w/bdrms on opposite ends & each with their own ensuite! Updates Include: Stone counters, New appliances, New kitchen cabinet doors, Fresh paint, Laminate flooring, Window & Door screens. All this in the very Desirable, Trendy and Highly WALKABLE, Downtown New West, just steps away from any Convenience you require and Skytrain Station right across the street! Well managed building with Updates that include: re-plumbed/re-piped 2016, new boiler system 2012 and more. RENTALS allowed and PETS allowed with no size restrictions. OPEN HOUSE: Sunday, February 24th from 2 - 4 pm. 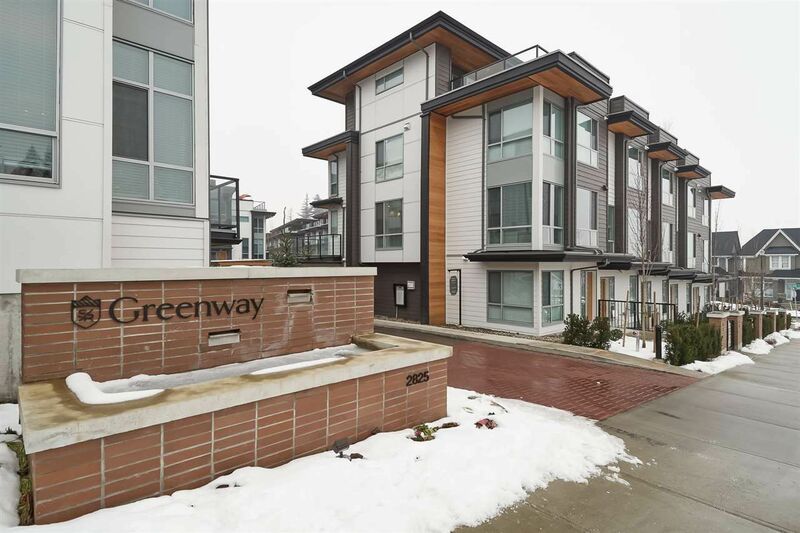 Updated TWO bedroom, TWO Bath CORNER unit with wall to wall windows, designed with a sought after layout w/bdrms on opposite ends & each with their own ensuite! Updates Include: Stone counters, New appliances, New kitchen cabinet doors, Fresh paint, Laminate flooring, Window & Door screens. All this in the very Desirable, Trendy and Highly WALKABLE, Downtown New West, just steps away from any Convenience you require and Skytrain Station right across the street! Well managed building with Updates that include: re-plumbed/re-piped 2016, new boiler system 2012 and more. RENTALS allowed and PETS allowed with no size restrictions. OPEN HOUSE: Sunday, February 24th from 2 - 4 pm. LOCATION! LOCATION! Updated TWO bedroom, TWO Bath CORNER unit with wall to wall windows, designed with a sought after layout w/bdrms on opposite ends & each with their own ensuite! Updates Include: Stone counters, New appliances, New kitchen cabinet doors, Fresh paint, Laminate flooring, Window & Door screens. All this in the very Desirable, Trendy and Highly WALKABLE, Downtown New West, just steps away from any Convenience you require and Skytrain Station right across the street! Well managed building with Updates that include: re-plumbed/re-piped 2016, new boiler system 2012 and more. RENTALS allowed and PETS allowed with no size restrictions. OPEN HOUSE: Saturday, February 16th from 2 - 4 pm. I have listed a new property at 307 550 SEABORNE PL in Port Coquitlam. Beautiful, Like New, 2 bedroom & 2 bath home. Quality shows throughout, Built by Mosaic, nothing was Spared, from Radiant Fir Heat, SS Appls, Qrtz Ctrs, Flr to ceiling windows to the highly efficient, Open plan layout with bedrooms on either side of the home, creating great privacy for roommates and families alike. Watch the sunrise and Views all the way to the Pitt River from your fully covered balcony. Enjoy the exceptional amenities the Fremont Green offers: Beautiful Outdoor pool, Gym, Party room/Bar, Indoor Basketball Court, Children's Playroom, Dog Wash Station & Bike share program to enjoy the 25 Kms of Riverfront Trails. 1 parking and 1 Storage Locker. Pet Friendly building. OPEN HOUSE: Sat. & Sun. Feb. 16 & 17th from 2-4pm.